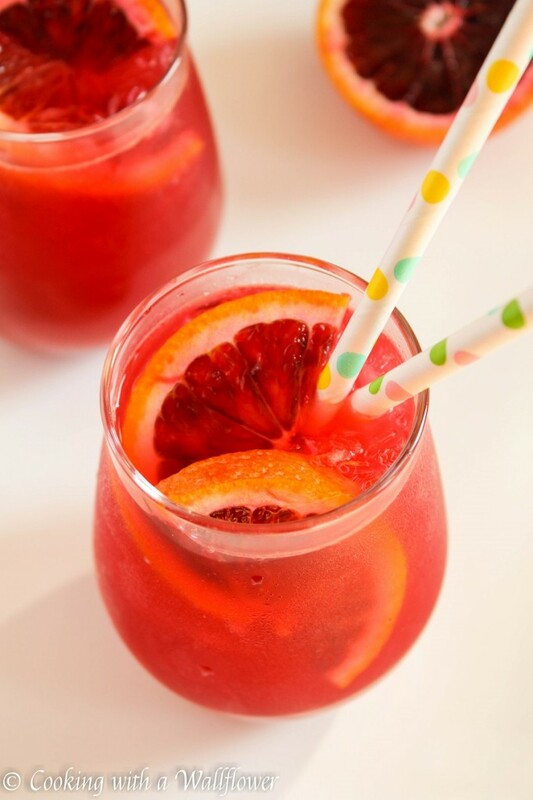 Sweet blood orange mixed with tart lemonade for a delicious spring drink. 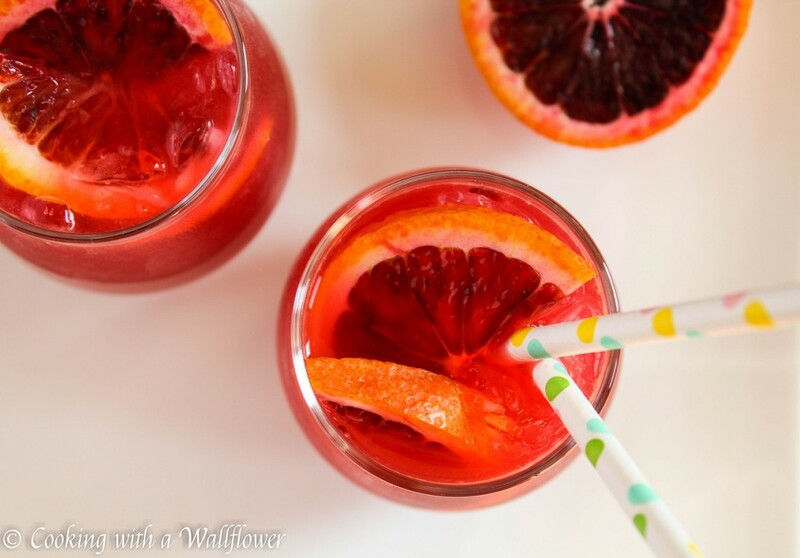 This blood orange lemonade is perfect for transitioning from winter to spring. The weather is playing a guessing game with me. And I’m losing terribly. Some days it’s soo cold. For instance, on Saturday, there was so much hail that it’s as close as we’ll get to snow in the SF Bay Area. Not that I’m complaining too much. We need as much water as we get since we’re still in the middle of a drought. Other days, like today, it’s soo warm that we might as well be in the middle of summer. So I have no idea what to post. Should it be warm comfort food perfect for winter? Or should it be drinks perfect for the spring and the summer? I just don’t know! I have no idea if we’re in winter or we’ve moved on to spring. Which means you’ll get mixed messages on my blog until this weather issue has been resolved. Nutella Hot Chocolate two days ago, blood orange lemonade today, maybe something warm later this week. Who knows? But what I do know is that you have to try this lemonade. Seriously. 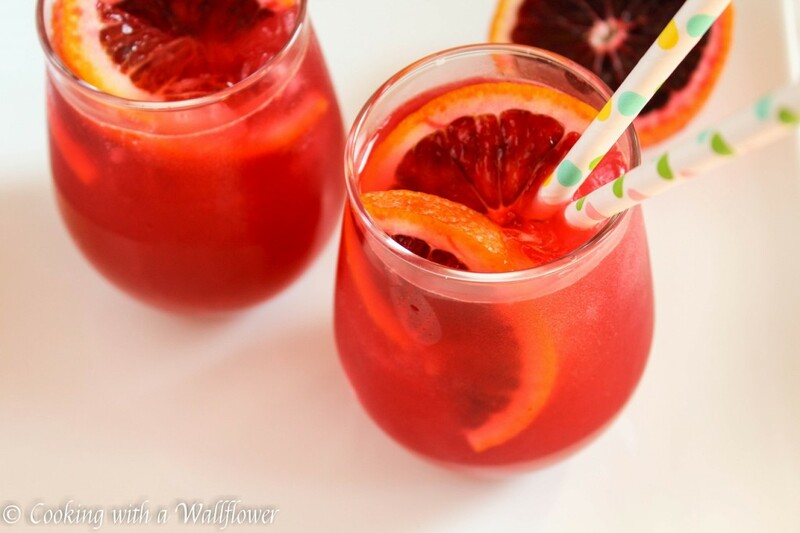 If you can get your hands on blood oranges, you have to try this blood orange lemonade. 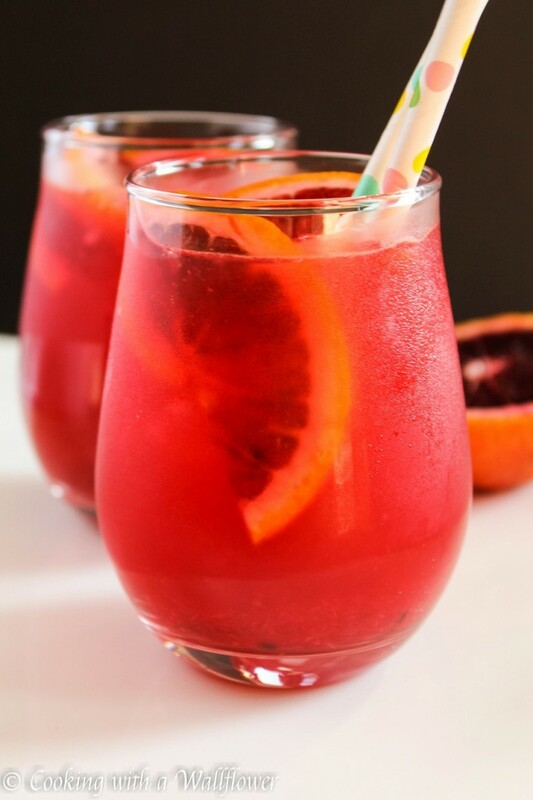 That gorgeous bright red color, the sweetness of the blood orange, and the tartness of the lemonade make this drink so refreshing. I think it’d be a great beverage to pair with my Citrus Salad with Blood Orange Balsamic Vinaigrette. Tomorrow I’m going to be near that market where I found my blood oranges in the first place. I think it’s time to restock because I’m loving all this citrus. First, squeeze the juice from the blood oranges however you like. Make sure to remove all the seeds. I like adding a little bit of the pulp back into the juice. 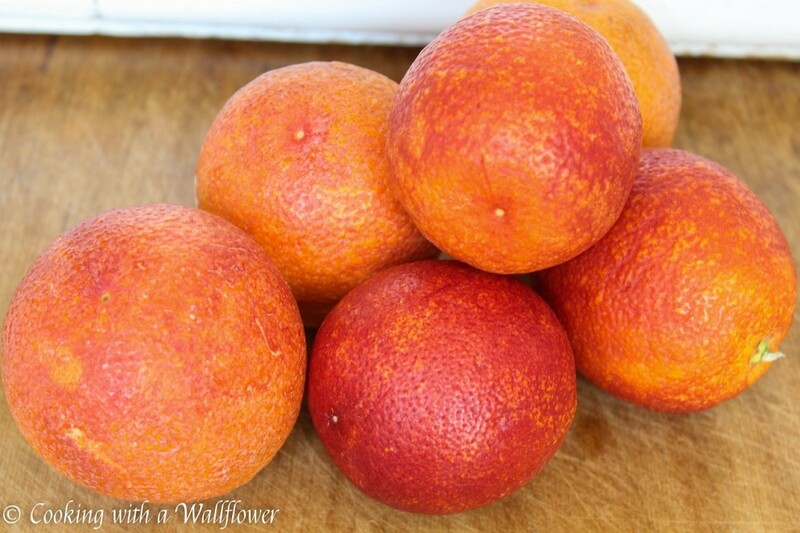 Especially since blood oranges are so expensive, I feel I need to use as much of it as possible. Do the same for the lemons. In a small pitcher, add the freshly squeezed lemon, water, freshly squeezed blood orange juice, and a little bit of sugar to taste. Stir the drink to evenly incorporate all the ingredients. Add crushed ice to the lemonade. Then place a few thinly sliced blood oranges on top for garnish. Serve the blood orange lemonade cold. If you decide to make these drinks or any of my other recipes, tag the photos with #cookwithawallflower. I’d love to see your photos! In a small pitcher, mix together the water, freshly squeezed lemon juice, blood orange juice, and granulated sugar until all the ingredients are well combined. Pour the blood orange lemonade into two glasses. Add crushed iced and thinly sliced blood oranges for garnish. 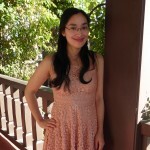 This entry was posted in Beverages, Gluten Free, Healthy, Quick and Easy, Recipes, Spring Cravings, Summer Cravings, Vegan, Vegetarian and tagged beverage, gluten free, quick and easy, spring cravings, summer cravings, vegan, vegetarian. Wow this looks delicious! Must try! I made it yesterday for a friend and myself, it was delicious! I might have to try the blueberry mojito very soon. 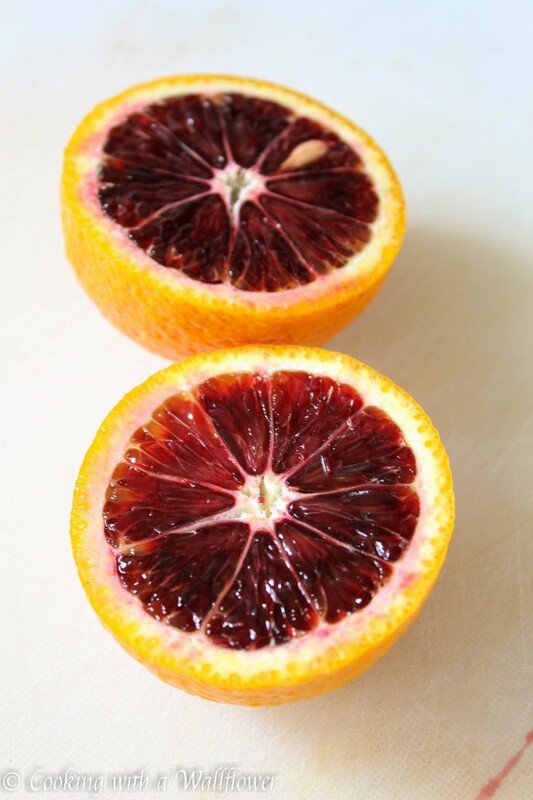 Amazing photos – the blood oranges look so dramatic! You can bet I’ll be making this.